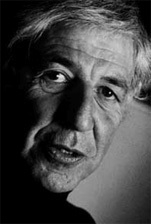 LEWIS WOLPERT is Professor of Biology as Applied to Medicine in the Department of Anatomy and Developmental Biology of University College, London. His research interests are in the mechanisms involved in the development of the embryo. He was originally trained as a civil engineer in South Africa but changed to research in cell biology at King's College, London in 1955. He was made a Fellow of the Royal Society in 1980 and awarded the CBE in 1990. He was made a Fellow of the Royal Society of Literature in 1999. He has presented science on both radio and TV for five years, was Chairman of the Committee for the Public Understanding of Science.